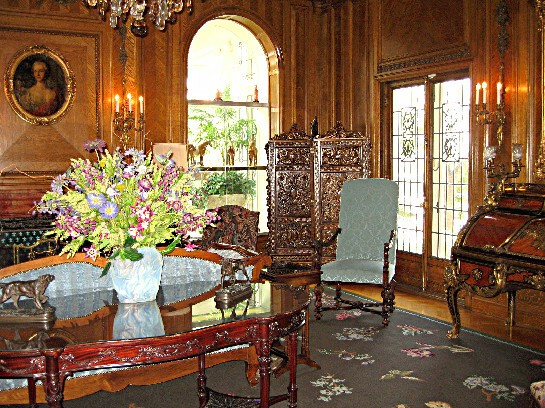 The Library is furnished with antiques collected by the Boettcher family from their world travels. The French roll top desk on the right is thought to be one of three in the world. Colorado wildflowers are depicted in the carpet. This entry was posted in Photography, The West and tagged Boettcher Mansion, Colorado history, Governor's mansion, history, Photography.